Where: Gold Eagle Inn, 250 W. Main Street, Brookville, Pa. 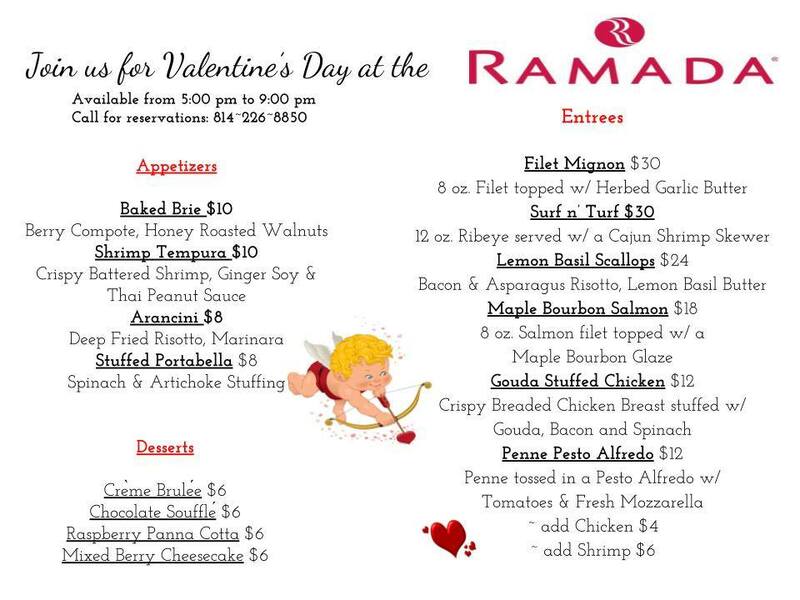 Details: Select two dinner entrees from the Sweetheart Specials menu for $49.00. Includes a complimentary Sweetheart Dessert to share. Sweetheart Specials will be available from February 14-16! *Restaurant opens at 5:00 p.m* There are still reservation times available! Please call the office at 814-849-7344 to reserve your table. Visit Gold Eagle Inn’s Facebook page here. Where: Iron Mountain Grille, 10638 Route 36, Clarington, Pa. Details: Call 814-752-2486 for reservations. 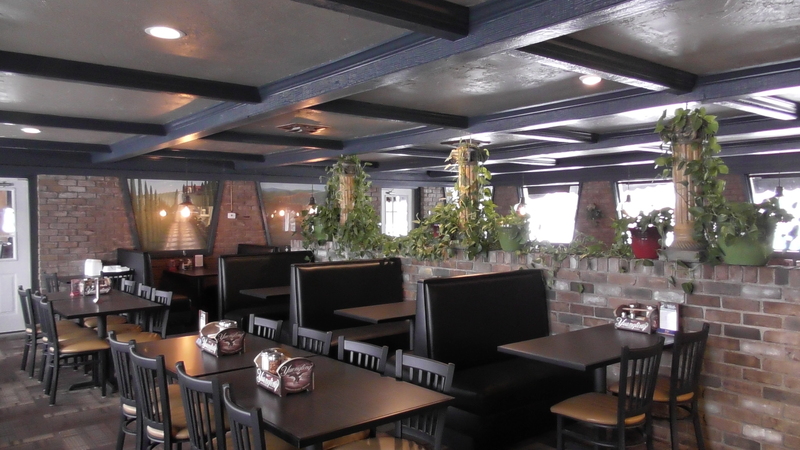 Visit Iron Mountain Grille Facebook page here. Where: Ramada Bar & Grill, 45 Holiday Inn Road, Clarion, Pa. Call 814-226-6552. Visit Ramada Bar & Grill Facebook page here. Where: Trails End Restaurant and Bar, 2738 Forest Road Cooksburg, Pa. Details: Dinner Specials Friday and Saturday night include Delmonico Steak Dinner (for two)..$40.00, Sirloin Pork Steak Dinner ( for two) $30.00. 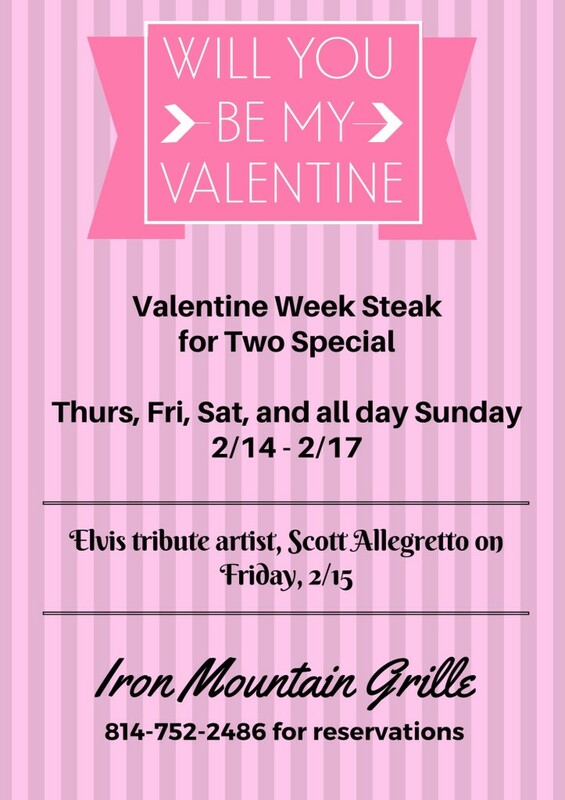 Bring your sweetheart to Trails End and celebrate Valentines Weekend! While there register to win a “dinner for two” on your next visit! Make your reservation today at 814-927-8400. Visit Trail’s End Facebook page here.